At Tasman Logistics, we go the extra mile. We're proudly based in Australia, but our reach is global. Experts in transport, freight-forwarding, packing, warehousing and logistics, we provide end to end transport and logistics solutions, so you can focus on growing your business. Our extensive network capability and experience means we can transport via road, rail or sea - ensuring the most efficient delivery of your important goods, on time and intact. Tasman Logistics provides wharf cartage, general and specialised transport to and from anywhere in Australia. Through our quality driver and contractor network we are able to offer an on-time, first class service to our customers. We manage an extensive rail network to and from all capital cities in Australia and offer a door to door service using various intermodal equipment including 20Ft, 40Ft, 48Ft hardsided and curtainsided containers as well as flat racks where required. Tasman Logistics operates a cost effective Australian Coastal Shipping service specialising in full load cargo from any capital city in Australia to Perth. Our door to door offering via sea is a far more cost effective way of moving freight that is not time sensitive. At Tasman's we have the team to handle all types of freight from small cartons, right through to long, awkward and heavy product. Tasman Logistics offers a wide range of port related services in Melbourne, Tasmania and Perth, specialising in wharf cartage and ancillary services to importers and exporters alike. With access to the wharf online vehicle booking system we ensure our customers receive a seamless transition from wharf to store or store to wharf. 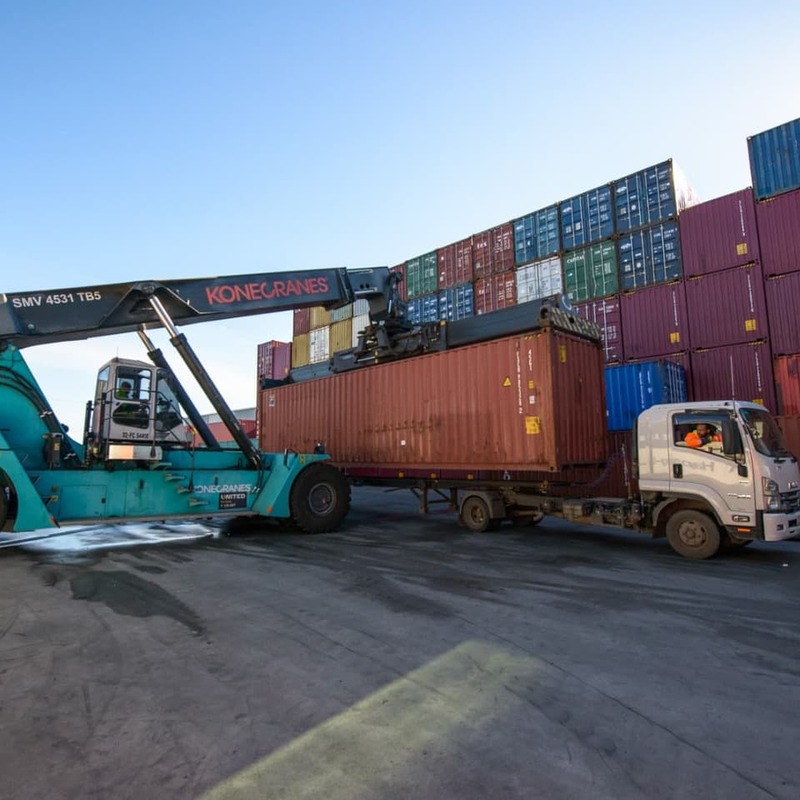 Tasman Logistics warehouse capabilities include the storage, handling, packing and unpacking of containers supported by a range of heavy forklifts for lifting containers on and off trailers. These types of projects are very special to us as they demand a whole new level of planning. Everything has to flow like clockwork in order to reach the destination safely and on time.